can impart is amazing, it can easily be twitched around weed cover. 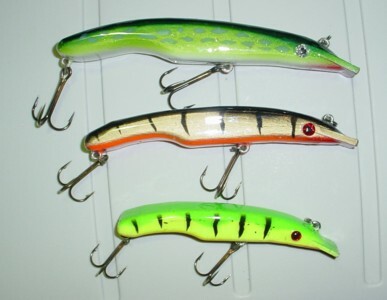 The amazing action and huge amount of water displacement imparted by it's action says EAT ME MUSKY all over it! 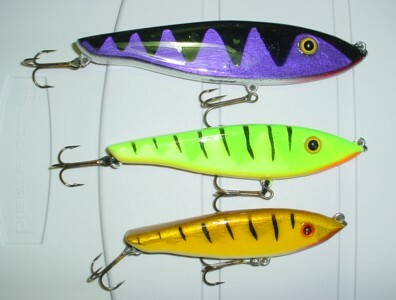 The Ripper is a unique jerkbait with a lexan nose to prevent finish chipping from rocks. It has an action like a suick but with a more pronounced side to side action and wiggle. and multiple coatings of a super tough clear finish. Oh ya, the paint jobs are a work of art too!